In 2017, RE/MAX associates and offices in New Jersey, once again raised funds to benefit the sick and injured kids cared for at two local Children’s Miracle Network Hospitals Children’s Hospital of Philadelphia and Children’s Specialized Hospital. The total raised in 2017 was $178,061 – these funds were raised by 40 generous RE/MAX offices and 191 kind-hearted RE/MAX associates! Let’s celebrate the 18 offices in New Jersey who achieved Miracle Office status in 2017, see the complete list below. 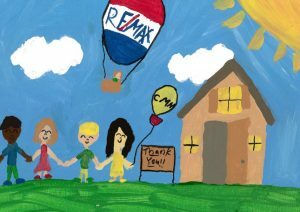 RE/MAX Offices that donate more than $2,000 in a calendar year, achieve the status of Miracle Office. Are you a RE/MAX Associate interested in supporting your local CMN Hospital in 2018 and do not know how to get started? Please go to The Miracle System or contact Leigh Anne or Bryan in the RE/MAX New Jersey region office to learn more. On behalf of all the kids treated at Children’s Miracle Network Hospitals, THANK YOU to all of the RE/MAX associates and offices in RE/MAX New Jersey who are going above and beyond to make a difference in the lives of sick and injured kids in their community every day.